Many of the homes in California may have lead base paint. Many of the homes that were built before 1978 can have lead base paint and the deteriorated of this paint can cause problems to someone's health. 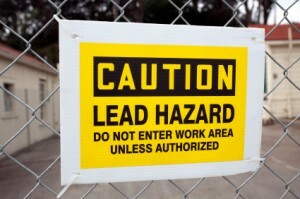 However, lead can be found in any home in the United States. Knowing this information, not all homes are lead free. A group of individuals from The University of Nevada, Las Vegas have been working on testing home who may have lead and trying to get the lead of home in the city of Henderson.The Department of Environmental and Occupational Health have worked previously with children and testing the children for lead. According to the article, if a child was tested positive for lead, then they will go to their home and test their home for lead. Children who are exposed to lead are at high risk of health complications. Many Nevada residents who applied to the program of the removal of lead in homes built before 1978 will go through the abatement process in order to test and get rid of the lead and cause any future harm. This project is part of a $2.3 million grant from the U.S Department of Housing and Urban Development. It is a great program to not only get rid of lead in homes but educate individuals on the dangers of lead dust becoming airborne and affecting an individuals health and prevent lead poisoning.Alliance Environmental is a certified lead-removal contractor and we can help you through this process.